To Josh Linkner, creativity and innovation are the lifeblood of all human progress. As such, he’s spent his career harnessing the power of creative disruption. In addition to his own startups, Linkner has been involved with the launch, growth, or financing of over 100 other companies. He has helped raise over $150 million of venture capital, and has mentored leaders and entrepreneurs through the struggles of explosive growth. He is the founding partner of Detroit Venture Partners, investing in tech startups as a platform to help rebuild his beloved hometown of Detroit, Michigan. As the founder and CEO of ePrize, Linkner built the largest digital promotions agency in the world, serving 74 of the top 100 brands. Working with many of the most progressive CMO’s in the world, he is a pioneer in digital marketing, winning dozens of awards for groundbreaking innovation at the intersection of technology and advertising. Beginning his career as a professional jazz guitarist, Linkner brings the same love for improvisation and creative expression to everything he does. He is a weekly contributor to Inc. Magazine, Forbes, and the Detroit Free Press. He has twice been named the Ernst & Young “Entrepreneur of the Year” and is a “President Obama Champion of Change Award” recipient. Gail Davis: On today's episode of GDA podcast, we're joined in-studio by Josh Linkner. Josh has been the founder and CEO of four tech companies, which sold for combined value of over 200 [00:01:00] million dollars. He is the author of two New York Times best sellers, Discipline Dreaming and the Road to Reinvention. He has invested in and or mentored over 1001 startups, and is the founding partner of Detroit Venture Partners. Today, Josh is, has been named the Ernst and Young Entrepreneur of the Year and a President Barack Obama Champion of Change Award recipient. He is a regular [00:01:30] columnist for Forbes, the Detroit Free Press, and Inc. Magazine. He's a passionate person from Detroit, he's the father of four, and a professional level jazz guitarist. Welcome to our offices today, Josh. Josh Linker: Well, thank you so much, terrific to be here. Kyle Davis: Well, it's fun to have you here and everything else. Now, I know that we talked about all the accolades and everything right here in this intro. But for people who aren't familiar with who you are, your background, how you got to where you were, [00:02:00] and everything that you've done, if you could just provide them with your background starting at the first company that you started way back then and where we are today. Kyle Davis: Probably a better place to start. Josh Linker: Well in jazz, you just sort of figure stuff out and you improvise in real time. And that's how I got into business. I was age 20, I had never taken a business class, and like we do in jazz, you figure stuff out. So I saw an opportunity to start a tech [00:02:30] company, in which we assembled components of computers. And I mail ordered them, built them in my college apartment, and sold them on campus. And I learned a lot and made a lot of mistakes. That was where I fell in love with business. And I realized that funny enough, 27 years later, I still played jazz. I just use business tools instead of instruments. And it's really a very similar process. If you think about building and scaling a company, especially a startup, it involves a lot of improvisation and real time innovation, which has been my passion throughout my whole career. Kyle Davis: So [00:03:00] do think that jazz underpinning of being able to riff improv and go in and just play, one person's drumming and your guitaring ... Is that right, guitaring? I think that's the word. But do you think that underpinning of being able to be fluid helps change your perspective on ideas versus being in lockstep and rigid in the startup kind of mentality? Does that make sense? Josh Linker: It does. And I think, perhaps in the past 15, 20 [00:03:30] years ago, you could afford to be rigid, but today in any size organization, I don't think that even works. The problem is that today, we live in a world of unprecedented speed, and change, and complexity, and competition. And so, I think that right metaphor for leadership today is that of a jazz musician. In a classical musician, the metaphor is maybe of the old days of business leadership. One person stands in the center of the room are no longer playing an instrument themselves. It's all about alignment, and precision, and accuracy. But today, that just doesn't work. And so today, it's much more apt to think of our lives in business as playing [00:04:00] jazz, small teams that are riffing off of one another, that are improvising, that are moving forward in the face of ambiguity, that are making decisions and using judgements in real time. And so I think that we in the business world, whether we're a startup or a multi-billion dollar international company can benefit a lot from thinking like a jazz musician. Kyle Davis: I think it's interesting that you mentioned that. Not too long ago into the symphony in Dallas, it's interesting to see this conductor. And it's just very, these people ar trained to practice and they go into this hierarchical, what chair number are you? Are you a first chair [00:04:30] violinist or third chair? Versus if you go to a jazz club when I was living in New York in Harlem, and it's just people getting together and jamming away. And it's the most beautiful music ever. And it's fun, and it's never the same thing. It's totally different. Josh Linker: So here's my point. Do know what classical musicians use for birth control? Kyle Davis: There you go. Josh Linker: I'm just kidding. I'm actually on the board of the Detroit Symphony Orchestra. I love classical music. Kidding aside, there is some truth to that. The world we're living in today in business, it's no longer the hierarchy, there's no [00:05:00] such thing as an operating manual that you can follow to success anymore. You need to have that fluid, creative real time improvisational approach if you want to win at the highest levels. And again, my background in jazz has been a gift because it has allowed me to pretty well in the business world myself. Kyle Davis: And to go on that when it comes to jazz or innovating in a company, I think what's interesting too, is when you see some ... I forgot where I was. I want to say that it was a jazz club in Harlem, but what they do is they bring in different people that probably never played together before. But the bring in their own experience and own backgrounds, and then they start to riff on [00:05:30] that. Is that the way that innovation is going? Do people bring in their own experiences versus having been in a company for 10 or 15 years? And having the same kind of thought process even though you're trying to make this riff component thing? Does that make any sense? Josh Linker: Yeah. I think that the more diversity that you have, the better. And it's diversity at all levels. Not only ethic or geographic diversity, but diversity of thought, and perspective, and background. 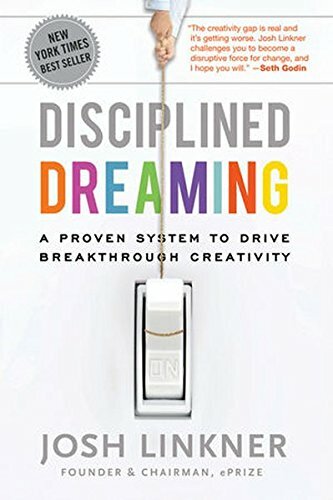 One of the things that I wrote about in my first book, Discipline Dreaming is in Africa, there's a thing called an [Imbizo 00:05:58] group. And an Imbizo group is the way that [00:06:00] they solve in rural towns the most complex problems. In other words, rather than bringing in the elders, the highest level of the hierarchy, and say, "What should we do?," people who have no experience at all in the problem they're trying to solve because they think that diversity of thought riffing as you say, makes a bigger impact. So in the business world for example, let's say we're trying to start a new rental car company. Instead of interviewing people who are frequent rental car customers, you might interview people who have never been in a car before. And so the idea is that that type of diversity and input, you change the input, you change the output. You end [00:06:30] up with a far better, more creative solution. Kyle Davis: All right. I definitely want to get back into innovation, but I was incredibly impressed because prior to recording, we had this team meeting in here. And you mentioned these metrics, these numbers, talking about how much you've raised and invested in different companies. Could you get that to our audience to have some perspective as to how brilliant or how awesome you are in what you've done? Josh Linker: It's kind of you say, I certainly don't think of myself in those terms. Kyle Davis: [00:07:00] I'll vouch for it. Josh Linker: That's very kind of you. Kyle Davis: That's a 90, roughly 90% percent success rate, though? Kyle Davis: An RBI is an RBI. Josh Linker: It might be an on-bat, on base, right. Also, I've had the chance throughout my career, I've created 8,700 jobs. As a venture capitalist, I've lifted over 3,000 entrepreneurial pitches. And I've sat on 83 corporate boards. And again, I don't say this in a boastful way. If you see enough stuff, you start to see some patterns. And one of the things that I love sharing [00:08:00] with audiences is my own personal experience and perspective on what it's like to start companies, to fight through adversity, to take on the sleeping giants in an industry, and ultimately, to prevail. Gail Davis: What are some of the things that we can learn from startups? Josh Linker: There's so many cool things that startups do. By the way, there's a lot of cool things that big companies do, too. I'm not putting anyone down here, but the mindset of startups is very different. And the nice thing is that it's portable. So you don't have to be wearing a hoodie and be 23 years old, and starting a mobile app company to think like this. [00:08:30] Large corporations, publicly traded multinationals can think like a startup. They tend to get excited about creating new ideas rather than protecting the old ones. They tend to be much more about embracing risks rather than avoiding it. And back to the jazz thing for a second, one of the principles I like to talk about in startups is the concept of compass is over maps. If we were Dallas today, and let's say we wanted to get to Austin. Well, one way to get there is you have a Google map. And you just turn your brain off and follow the map and do what you're told. That's like the metaphor of business [00:09:00] in the past. But today, imagine if the roads are changing 15 times an hour. A printed map wouldn't work. So startups believe in this notion of compasses over maps, which is setting their goal, their destination. I want to create a company that solves this problem in the world. But they don't need an operating manual to get there. They're willing to move forward without all the answers mapped out for them. They're willing to course correct along the way. They want to let their vision guide the journey rather than dogma or rules. And that's a concept that larger companies can embrace as well as small ones. Gail Davis: I like that. [00:09:30] I know you're passionate about innovation. And sometimes, I'll be asked by one of my clients for someone who is a speaker, or an author, an expert on innovation, but it can mean so many different things. You actually mentioned that before we started to record. I'd love for you to talk a little about what's innovation in leadership, what's innovation in culture, what's innovation in processes, and what do you see in that area? Josh Linker: The words, innovation and disruption, and reinvention, they're big, overwhelming, and scary words. And a lot of times unfortunately, [00:10:00] people say, "Gosh, that's cool, but it doesn't apply to me." I don't think you need to be a CEO or wearing a lab coat to be innovative. All of us actually as human beings are hard-wired to be creative. And that means to me, the little stuff. I love talking about the notion of everyday innovation, which is the things that may not make the cover of a magazine, but fuel performance, individually and professionally. So that could be how you run your Monday morning team meeting, or how you interact with a prospect if you're on the sales front, of how you interview a new job candidate. So these little acts of innovation, applying it as a daily habit rather than a [00:10:30] has to be signed off by the CEO bet the whole company on it. That is actually liberating. And there are few things in life that are as rewarding as the expression of human creativity. So if we can tap into that in organizations at all levels of an org chart, we'd become unstoppable. And that's one of the things I love sharing with people is that innovation can be an accessible thing. We're all built that way, it's not only for a select few. Kyle Davis: When it comes to, the word disruption is such a cliched term. And I think it also is a misnomer. I think, sometimes people look at the word disruption and hear the word disruption and they think chaos. But it depends on what side that you're on. And I was thinking about this in the shower this morning before I came over here. And I think lizards didn't evolve to lose their tails when they were being chased until a couple hundred million of them died. And eventually, one of them lost it tail and it moved on. And that was disruptive to the [00:11:30] ones that couldn't lose their tail. It evolved, the other ones died. And so for me coming from the tech perspective, I don't think of disruption as a negative thing. I think of it as evolution, the next step whether it be, Uber is the next step for taxi cabs, or Air BNB is the next step for hotels, versus it's being disruptive to the status quo who doesn't want to change or can't change or thinks that they can't change. Josh Linker: Yeah. So when you think ... I'll expand on that because I totally agree with [00:12:00] you. Disruption is a cliched term. And it doesn't only have to be massive disruption, by the way. That's again, where people get hung up. They say, "Okay, I work in a medical device company. And unless I can disrupt my entire industry and reinvent the pacemaker, then I should just do nothing." And that's unfortunate because we could make, think about micro-disruptions or micro-innovations. And so maybe you could disrupt the way you run a, you produce a financial report, or the way that you give a performance feedback to a colleague. And so we can be disruptive, which is really if you think about it, just doing something in fresh, different way that's evolved [00:12:30] for the times, that's adapted to the current circumstances, that will drive a better outcome. And you don't have to change your whole industry. You don't have to cure disease to be disruptive. All of us can be disruptive. You could be disruptive in the way you manage this podcast. Kyle Davis: I completely agree. I think the amalgamation of little disruptions improve in some process if you could limit touch points by 50% by being disruptive. If you can do this, you can do that, your operational efficiency goes up. You were disruptive without really changing the business model or the industry. [00:13:00] But you're improving yourself in comparison to other people. I think those micro-disruptions are ... I like the word, evolution, but that's just me. 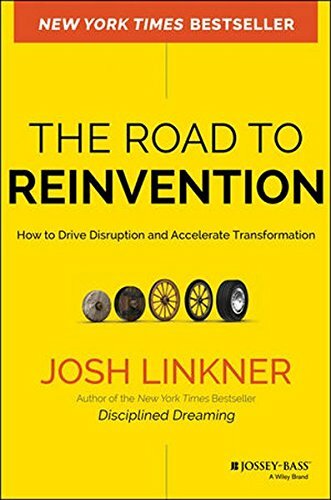 Josh Linker: But the nice thing about that is right now, the stakes are so high, when we hear words that are scary like disruption, innovation, reinvention, that we tend to freeze up. We're like deer in headlights. And we know what happens during that [light stop 00:13:19]. On the other hand, if we say, "Hey, I might not be able in role in my company to be able to change the name and our whole brand, or something, but I can make those evolutionary or micro-innovations." We still express creativity on [00:13:30] a daily basis. And if we can do that, that becomes the most powerful, competitive advantage at our disposal. Kyle Davis: So back to the original question that my mom asked, you, it was about all the different types of innovation that there are, and I've now been shown a list. But whether it be innovation within leadership, culture, or process, could you just highlight on, let's start with leadership. Then we'll talk culture and processes. What's important today versus what people thought was important in the past? Or where do you see these [00:14:00] innovations or these evolutions going? Josh Linker: Well just really quickly on leadership, one of the problems with leadership is that we say things, but we don't act them. So we say, "Oh, we love innovation. We want you to be really creative." And them someone shows up with a bad idea, and then you scold them and send them back to their cube. So we tend to create a fear based environment that doesn't foster innovation, it restricts it. The best thing we can do as leaders is to create an environment that's safe. Fear is the biggest blocker of creativity, not natural talent, fear. So if we can create an environment that's safe, we tend to liberate the creativity. The way you do that generally [00:14:30] is through rituals and rewards. And one example, I interviewed a company in my research that every year issues a Failure of the Year Award. So, they have other stuff. They have this big banquet, like the Person of the Year and such. But they celebrate the failure of the year, which goes for the team or individual that had a great idea where numbers made sense, they went for it, didn't work out at all. But good for them. So instead of getting fired, they get a standing ovation. People are clapping, and cheering, and slapping high five, "Way to fail!" Josh Linker: But I would just say really quickly that, think about the message that drives deep into [00:15:00] the DNA of this company about taking responsible risks. And unfortunately too often, people tend to overestimate the risk of trying something new, but underestimate the risk of standing still. So as leaders, I think we need to break through that standoff. Kyle Davis: This is something that I've preached on a few times. And I've had this conversation with my mom, and it's interesting because I come from startup space of Silicon Valley, then in New York City. And the whole philosophy is fail and fail fast. When you take that step and you take that leap, make sure that you have the right idea behind [00:15:30] it and you have everything that can support your claim. But if it doesn't work by the key deadline that you set for yourself or you're not hitting a certain KPIs or metrics, or whatnot, it's okay. Call it quits, pivot, turn it into something else or just kill it. But you would never have known unless you would have taken that shot. Josh Linker: Completely agree. And as leaders ideally, instead of placing one, giant bet and betting our careers and our companies, you want to always be running lots of little experiments. Always. You should be running five or six experiments a week. And the one that don't work out, kill them quick, and the ones that do, double down. [00:16:00] You asked me about process and I'll just show another one that's kind of fun. There's a bike manufacturer named VanMoof. Josh Linker: So VanMoof is hybrid electric bike used for city commuting. If you live in New York City or Dallas, you might take one to work. Anyway, the owners of the company were facing a problem. The problem was these bikes were getting damaged a very high rate during the shipping. They were sent in big cardboard boxes, FedEx, UPS. And the damage was high, which led to a decrease in customer satisfaction scores. They had a file an insurance claims, it was a real pain. Josh Linker: Anyway, the leaders all got together. They said, "Look, we got to solve this. What shall we do?" [00:16:30] Well first, the obvious answers came forward. Someone said, "Let's use thicker packaging." "Yeah, but it costs money." Someone says, "Let's use one those fancy white glove delivery services." It costs even more money. So what they were looking for is a scrappy, creative, entrepreneurial, and innovative approach to this real world problem. We're talking about shipping stuff. This isn't inventing a new mobile app. So anyway, they start asking questions. And one of the folks says, "I just don't understand. Think about a plasma TV. A plasma TV is about the same size, about the same weight. They get shipped every day, they don't get damaged. How come our bikes are getting so messed [00:17:00] up?" So this led to one of these little disruptions or innovations. It doesn't make history, but pretty cool. Here's what happened. They didn't change the box. They didn't change the packaging. They didn't change the delivery service. They didn't change a single thing, but on the outside of the box, they printed a plasma TV. They still sent the bike in the box, plasma TV on the outside of the box. So it cost them a little more ink, that's it. Guess what happened? Damage rates were reduced by 70%. So I like stories like that where you're applying innovation, not in way that Uberized the [00:17:30] industry, but little things that make a huge different, 70% reduction in damage rates because they took a fresh, creative approach to an everyday situation. Kyle Davis: The extra, at most, dollar in ink saved them so more money and insurance claims than everything else. Kyle Davis: Wow, that's brilliant! I like that idea. Time to get back into hardware. Gail Davis: I love that. Talk to us a little bit about the things that you've been involved in with Detroit. I have an affinity for Detroit. I worked for EDS for a number of years. And we were purchased by General Motors and I spent a lot of time there. [00:18:00] And I know as a community, there have been some tough moments. And I'd love for the listeners to hear about how things are turning around. Josh Linker: Well, thank you. I'm so deeply passionate about Detroit. I was born in the city of Detroit. My parents were born in the city. MY grandparents were born in the city. So we have a lot of history there. It's a city with a soul. And it's just been a tragedy that our city had fallen so far. 100 years ago, Detroit was the Silicon Valley of our country. And then, we lost our way. We built these stifling bureaucracies and restricted our innovative roots, and we suffered the consequences. [00:18:30] In my case, my partners and I said, "Look, we've got to do something about this." Instead of running away from it, let's try to be a part of the solution. We started a venture capital fund. And the goal was as I said earlier, yeah, we might make some money, but more importantly, maybe was can make a difference. And so our theory was that we could help create downtown Detroit to be a cool place that would attract the most talented people in the world, a place that fostered innovation, that was a beacon of opportunity. And we wanted to diversify our economy, create jobs and urban density and hope. And people thought we were nuts. They're like, "Go away. You can't do this. Go to Silicon Valley." [00:19:00] So we did it anyway. And we did, we started investing, putting capital to work, but also a lot of coaching and supportive mentorship for eager entrepreneurs who not only make money, could do well, but they could do good. The results were great. We're one little part of the solution. There's many people doing more important things than me. But in Detroit, in the matter of only a couple of years, it went from zero tech companies in downtown Detroit, now within one square block of our venture firm, there's 70 tech companies. There's over 1,000 people working at those firms. And so my only point is that we a took a non- [00:19:30] traditional, innovative approach to a real problem, the disruption happening in Detroit. And we were able to make a real difference. And so I think for all of us who are listening today, we nay be facing problems that feel insurmountable. "I'd like to be innovative, but I can't for X, Y, and Z reasons." But if we can do that in the city of Detroit, think about what all of us can do with the resources at our disposal. It's really bringing that creativity to the surface and trying a fresh approach. Gail Davis: That's awesome. 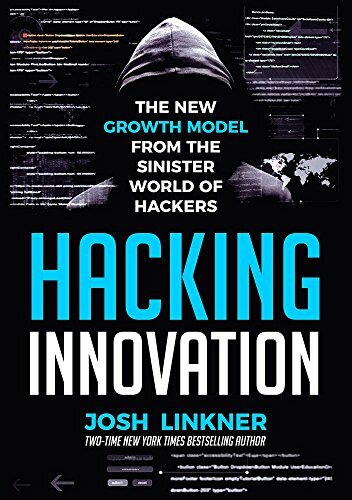 And sitting here looking at Josh's new book, called Hacking Innovation. And this term, hack, when [00:20:00] it started out, it meant one thing, and now I hear it all the time and I'm thinking it means another. So talk to me a little bit about how you came up with the title and what this book covers. Josh Linker: Thank you. So I was looking, and in my most recent book, I wanted to share a really fresh perspective on innovation. I didn't want to rehash the same old thing. And I was looking for a new source of inspiration, and that led me to hackers. Hacker is a big, scary topic. It's our biggest threat to national security, but if you put the motives aside, it's not so easy to hack into a bank. So I started thinking about hacking, not as necessarily right or wrong, just as a tool. [00:20:30] Like a knife, you could use a knife for bad purposes, to cause harm or you could use a knife to heal someone in surgery. So I started thinking of hacking simply a methodology for complex problem solving. They could used for bad, but also could be used for good. So I spent three years studying hackers. I spoke to felons, I interviewed law enforcement. I interviewed cyber security professionals, certainly not to teach or promote or glamorize cyber crime. But instead, to say, what can we learn? And in the book I cover five core mindsets and ten primary tactics that hackers use. Again, not to teach people who to do [00:21:00] bad, but what can we borrow from that? And how could we help to grow our companies and be more innovative as a result? And one last thing I'll say, one cool conclusion was ... The people we admire most, they may not have called themselves hackers. But when you overlay the principles of modern day hackers to the brave ones, the Thomas Edisons of the world, the Ghandis, they were hackers for sure. So I would argue that Martin Luther King was a hacker for social justice. And Henry Ford hacked production and came up with totally different way. Again, they weren't writing code, they were deploying innovative [00:21:30] approaches. And that's what the book covers, how to think and behave like a hacker, but for good. Kyle Davis: Of those five mindsets that hackers deploy or use, or employ, not deploy, employ, what are some of the few that you think are most important in why people should buy the book, obviously, but what are they? Josh Linker: One that I talk about is this concept that every barrier can be penetrated. Josh Linker: And it's sounds obvious, but people don't always feel that way. They may hit an [00:22:00] obstacle. They say, "Game over. I can't do this. It doesn't work for me." And hackers don't do that. They don't waste time thinking about can't be done. They're really focused on ... There's this inherent belief that there's always a creative workaround to even the most complex and difficult challenges. And so of course, I cover, the book is kind fun. I share stories of hackers and it reads a little bit like a spy novel. But here's an example of how that it could fly in the real world. I'll just show you this really quickly with you. In my hometown of Detroit, there's a suburb that's about 20 miles north called Troy, Michigan. Josh Linker: Troy was having a bunch of crises at their library. [00:22:30] So what happened was they were losing funds. The library was actually about to close because they couldn't afford to keep it open. So the folks at the library being a government agency, not someone you think as a hacker or creative. But they said, "Let's pass a millage. Let's add a little, teeny bit to people's property taxes to save our beloved library." Well instead what happens is that organized groups from nationally deployed people came in Detroit and changed the conversation from save our library to no new taxes. There was only one month to go. They were out-funded, out-organized, [00:23:00] they were sure gonna lose the vote. And this beloved library would be closed forever. But they believed like hackers that every barrier can be penetrated. So how did they fight back? They fought back in a very hacker-like, non-traditional approach. They started putting signs up that said, "Vote to close the library August 2nd. Book burning party August 5th." So then, they put these signs all over, then they started posting it on social media. They started selling merchandising. They're like, "A book bag, how ironic!" And they started having this whole, crazy thing about burning books. They lined up entertainment, [00:23:30] they posted flyers for baby sitters. They booked a band. And people online became enraged. They're like, "How can you burn books? You're idiots! What's the matter with you, you jerks?" And the whole social sphere lights up debating them, and the pros, and cons, and merits of libraries. The notion spread to city council meetings people were protesting, holding up signs. The media takes over, it grows from local to national, international news. This whole thing, everyone goes crazy. And then finally once it reached a fevered pitch, they change their Facebook page to say, "A vote against [00:24:00] the library is like a vote to burn books." The whole social media, media and regular media take off all over again, "That was great! What a clever thing! Amazing!" Anyway long story short, the library won by a landslide. The millage was passed. Voter turn out was 400% higher than expected, and everybody won. And they were only able to accomplish that because number one, they believed that every barrier could be penetrated. They didn't just give up and roll over, they kept fighting. And number two, they had to deploy non-traditional approaches. In this case, the exact opposite of what you would think, [00:24:30] but they made it happen and that beautiful library is still there today. Kyle Davis: We talk about how hacking has a negative phrase or a negative viewpoint for a lot of people. But really, hacking is like you said, a methodology of how to accomplish something and get something done. So you were talking about an information or influence campaign, hacking isn't always some guy in a basement doing a brute force cyber attack into something. It could literally be a woman calling in pretending [00:25:00] to be someone's wife to give baking credentials. It can be someone, a library system like yours saying, "Hey, burn the books! No, we need the library to stay open so we can keep our libraries," and everything else. So when you understand what hacking is and how to deploy it to be able to get something done or do those things, what other components in this hacking mindset are needed so that I can go from thinking this [00:25:30] idea to how do I hack into this industry and disrupt it and change it? Or how do I hack into my business and evolve it into this next thing versus just being this negative kind of component of hacking? That was a whole, I rambled right there. That was a lot of rambling. I guess what I'm trying to say is how can people adopt this hacking mindset versus thinking of it just as a negative thing so they can better employ themselves to do other things? Josh Linker: In the book, I also cover in addition to the mindset and tactics, and these are really simple things [00:26:00] that people can do. I always liked focusing on simple things that people can actually do. And so one of them is called The Reverse, which is simply flipping up normal approach totally upside down on its head, asking the question, "What's the polar opposite?" So for example in the speaking business, [inaudible 00:26:16] has done an amazing job, you might provide a speaker for a specific fee. So a hacker would say, "What's the reverse of that? What's the opposite?" And the opposite might be, "Hey, what if it wasn't a fixed fee?" It was a performance based fee where the speaker would make more if they delivered more. They'd [00:26:30] make less if they stunk on stage. Another one would be we were just talking about pricing, for example, it would be there's no fee, but you would subscribe to an annual subscription for so many speeches in a given year. I'm not saying those are the right answers, but the idea is taking an oppositional approach, flipping upside down what you normally do in favor of something completely different. And that's what hackers do is they try to infiltrate cyber security, but that's what we can do in the business world as well to uncover a fresh possibility. Kyle Davis: And so, moving onto startups. We've touched base on this [00:27:00] and we've talked also about the fact that you have a venture fund that invested in a lot of startups and you hear a lot of pitches, what is it that some of these companies do when they're small and they're nimble that you like that leads you to invest in them? And what can people take away from those companies to employ on their own? Josh Linker: One of the things that we've learned is that they typical characteristic they you think of in terms of an entrepreneur are the ones that are not as always productive. So you think of an entrepreneur like a Steve Jobs, larger than life, and super articulate [00:27:30] and stuff, I'd say the best entrepreneurs that we've worked with tend to be the opposite. They tend to a little more soft spoken. They tend to be open minded, and humble, and curious. They tend to have a demonstrated track record where they can actually get stuff done. So yeah, they need to have a good vision to be dreamers, but they can't just, bull in a China shop run through stuff. They also have to be able to work in the real world. And so we always look for that, for coachable, open-minded people who are willing to hunker down and execute. But in terms of products and services, and such, we always look for things that would really break the mold. If someone came in and said, "Yeah. I've got an idea. It's just like [00:28:00] Ebay, but 2% better." No way. It's just, that problem has already been solved. So we would always look for things that had a profoundly better approach, like something that a 10X factor better. So if something was so much better than it couldn't be ignored, that what was always compelling for us. And that's what I advise companies as well, is finding solutions that are just so much more interesting and compelling, that they can't be ignored. Kyle Davis: And so, I know we've mentioned this. Earlier, we were talking about innovation, but innovation, we were talking about leadership. Then we [00:28:30] went to talk about something else. But when you start looking about can deploy a 10X factor and having culture of that, how do you ... I know it starts with leadership. But how does that culture become cultivated so that people internally are looking externally to bring in new ideas and new ways of doing things into the company? Josh Linker: We talked about briefly earlier, but a lot of it is first of all, the leaders committing to that type of culture, realizing the importance of innovation, and being an innovative company, and the risks of not doing that, [00:29:00] of course. And then it's about building rituals and rewards that support the platitudes. You can't just go up and say, "Go be innovative!," and then act in a totally different way. So, I'll give you another example. One of the companies that I worked with, they realized that wanted people to share all their ideas, but they didn't want people to think that every idea could be embraced. Obviously, it takes a lot of bad ideas to get a good one. But they wanted to keep them coming. And here's what they did. To symbolize this, they took four feet tall glass jars and put them in the main part of their corporate headquarters. Every idea that came forward, a white marble went into the jar. [00:29:30] Every idea that was embraced, a red marble went in, and they saved the jars. So in this huge hallway, there's a whole wall of these giant jars filled with white marbles with little, teeny specks of red. Everybody walks by that every day realizing that, "Yeah. I need to generate lots of ideas. It takes lots of white ones to get to a red one." It's a symbol and it's reward to encourage behavior along the way. That's how cultures are built is one ritual and reward at a time. Gail Davis: I'm curious. When you've looked at all these various companies that you could invest in, have you ever seen [00:30:00] a great idea that you had no doubt it would work? But because the person promoting the idea wasn't open minded, they weren't humble, they weren't coachable, did you pass on it, knowing that the idea was valid? Josh Linker: I'm smiling as you said that. There's a huge debate in the venture capital world is that they call it, "Is it the horse or is it the jockey?" Is it the idea, or the tech, or is it the people running it? And I did little bit of experimenting because there are example on both sides of this. So in one case, I invested in an A [00:30:30] person and a [C idea 00:30:31]. In another one, I invested in a C idea with an A person. Here's what happened, almost like clockwork, the C person with the A idea managed to screw up their idea. They were out of business in six months. I took a total zero, lost everything. The A person with the C idea managed to flip the C idea into an A idea. It's the number one portfolio company that we have today. We're tens of millions of dollars, they're rocking, making a huge impact in the world. So it really, in my experience anyway in tech investing is that even though we're a technology business, it [00:31:00] gets down to the people behind. And it's the approach, the willing to be innovative, and execute, and push the boundaries. Gail Davis: We have a lot of fun doing this podcast because Kyle does have the startup experience and I had 20 years in the corporate world. And he's a millennial and I'm not. I keep realizing that there's a place for everything, there's place for innovation. There's a place for wisdom. You know, there's a place for hard skills and there's a place for soft skills. And I think that's what interesting about this time that we live because we have so much at our exposure, but we can't write [00:31:30] off the past. Even when you talk about having an innovation mindset in a legacy company, the legacy companies do have something to offer. Josh Linker: You are so right! And it bothers me when people come in and think, "You're doing everything wrong." No. If you were doing everything wrong, you wouldn't have been here for 160 years. Josh Linker: So I like to help companies build on their foundation, not ignore their past, but celebrate their past, but to examine it, learn for it and then map out the next leg of [00:32:00] the journey accordingly. So it's not that startups are all right and big companies are all wrong or vice versa, there's a lot to learn from both. But what I like to do is helping large organizations generally, figure out ways that they can proceed, ways that they can win in these modern times. Kyle Davis: God, I feel like I was attacked on that one! Kyle Davis: Just messing with you! All right, cool. I think also one of the questions there that was unmasked is well is that win, and talking about legacy companies and [00:32:30] this, and that, all of these things. I do think though, coming to the point that you mentioned earlier about having this culture of innovation and this culture of looking out and bringing in, I think is hugely important. There's a lot of companies that you can look at through the lens of time that have been huge innovators, and they forgot about it. And then they left that behind, and they didn't look out, and then they were no longer here. I can list a few. Kodak, [00:33:00] I guess, could be a prime example, but I think understand what else is out there and keeping and eye towards the external I think is hugely important. Josh Linker: One thing to just build on that, and by the way talking about it earlier, I like to tell stories that people haven't heard of. Everyone knows that Uber is interesting and Apple is interesting. But in terms of borrowing ideas from outside, a fun example, there's bank in Poland called Idea Bank. Josh Linker: [inaudible 00:33:25] but sometimes, their customers didn't even have time to get to an ATM machine. So they said, "What if we had an ATM machine that could [00:33:30] come to the customer?" So here's what they did, they took these electric vehicles and tripped them out, building in an ATM machine into the car. They allowed customers to order it with an Uber like app. So you literally order your ATM machine as if you're ordering an Uber. You track it on the map, the car drives up, you transact your business, the car takes off. Josh Linker: Now, I don't know if that's the future of banking or not. But if you live in that town in Poland, which bank do want to go to? And here the thing I love about the idea, they didn't get the idea by studying other banks. They got the idea by looking outside. It's exactly what you were saying. They [00:34:00] looked at the success that Lyft and Uber was having with on-demand rides, took that idea, borrowed it, and applied it to retail banking. So one of my favorite techniques that I covered in the new book is borrowing, which is sort of like, if you're in one field, instead of becoming insulated in your field, say, "Where else is a similar problem happening outside of my field?" Maybe it's in a different industry, maybe it's in sports, maybe it's in the arts or entertainment. And you find a different pattern, grab onto it, borrow it, and bring it back home. Josh Linker: And what you find by doing is you become so incredibly innovative. Everyone is jaw [00:34:30] dropping, "How did you possibly think of that?" The reason you thought of it is because you looked outside, you borrowed. Kyle Davis: I think that's a great thing to hit on because if you can look at other industries, and we've had this conversation before between my mom and I. I've been involved with the speaking industry since she started the company because well, she started it at home. But I'm not involved in it, you know what I mean? But there's components that you can bring in from other industries that seem radically different, but the fundamentals are still the same. [00:35:00] And so having that external view and Uberizing this or that I think is huge. But to that point, one of the things that you just eliminated was that you do a lot of research to find these other companies that people haven't had the opportunity to hear about. Because I think a lot of people, as great as Uber, or Apple, or Google as they are, I'm personally pretty sick of hearing about it. I go to enough tech conferences or have gone to enough of them where, it's the Uber of this, the Tinder of that. [00:35:30] And I'm kind of done with it. So I'm just curious as to how you do your research and what are some of these cool companies, the ideas, that you share with clients and speakers, and when you do your speeches as well? Josh Linker: Well, I'm with you, my friend. There's only so much we can hear about Uber as great as they are. So what I do first of all, I've never given the same keynote twice. I always customize it for every specific audience. And if I'm speaking if like I am on Monday to the California Grocers Association, I'm gonna share examples of amazing innovation happening [00:36:00] in grocery all over the including one in Helsinki that created a grocery store made out of ice, and one in Japan that has a mobile grocery store that drives around. And people can get online and get inside, and there's no employees. It's all done with sensors and such. Anyway, this is the type of research I love doing, my team and I love doing. And we have a list, actually. We call it the Magic Seven. And these are the criteria for us that make a good story. In other words, it can't be something typical and obvious. We want, we're looking for these that A, no one has heard of; B, there are some interesting, little twists, [00:36:30] like a creative surprise; C, one of them is just effing cool like, "Wow! Is that ever cool! What a neat thing!" And so anyway, we've got seven criteria. And as my team and I do research, we literally score each story against these seven criteria and pick the ones that have the highest score. So when I'm delivering a keynote, people are hearing fresh ideas, things within and outside their industry that are really impactful and relevant that again, are not the cliché answers. Kyle Davis: I think what's also really kind of cool about this research, we're [00:37:00] gonna have to dive into the Magic Seven after when we're done. But because you do come at this from a venture perspective, and you're constantly hunting and looking for new ideas. I think your focus is mostly on Detroit. But having that idea of looking externally to try to find new ideas and inputs, I think it's hugely important when it comes to research because that's where that's where you'd begin to find those gyms and other ... Gems, wow! I can't talk today? I'm rambling, ugh! Gems in the rough, but I think that's usually important. And so for ... [00:37:30] What is this kind of venture mindset that you employ personally? This isn't something we talked about. And what led you to this curiosity to go find other cool, new, innovative things? And maybe this is a good take away that people haven't thought that they could take away, but they should. Josh Linker: Well, I've always just been a curious person. I love learning. It's a deep passion of mine. I love these underdog stories that have surprising twists and turns. And I think there's so many amazing learning and stories out there that haven't been told. Those are the ones that I like to discover. I've always [00:38:00] been like the road less traveled guy. I'm from Detroit, I'm not from either coast. I'm a jazz musician, all these weird things. But I like sharing that perspective with audiences and companies of how they sort beat to their own drummer, which is why it fuels me to make a difference. Again, I do this work because I love it, not because I have to. And that's the real reward because when someone emails me two years later, and they're like, "Hey! This made a difference, our sales are up 11%. We just launched a new product line. Our employee engagement scores are off the charts because of something that you said." And I don't say that in a boastful way, I just do because I love [00:38:30] it. And if I can make an impact in people's and organization's lives, it's a real privilege. Kyle Davis: Some of the greatest conversations I've ever had have always been with people from the venture side versus the founders. Founders can be to your point, hit or miss. And sometimes, they're interesting people, sometimes they're hard to communicate with. But the venture side and the people who willing to take a chance and a risk of something that they ... Well, there's kind of two types of funds, but people who truly believe in stuff and then there's the people who think [00:39:00] they've been sold bad stuff. And I think you know what I'm talking about, right? He's nodding. But yeah. There's people who truly believe in something, those are the really, just the most fascinating people in my opinion, at least in the tech base that I come from. Josh Linker: Yeah. It's fun. When you're looking at deals, you're looking at all kinds of crazy things. You're listening to people dreams, and you want to supportive and helpful where you can, but also ... What I would always do is that I was very direct, but I was also direct in a helpful way. So if something, their idea was flawed for whatever reason, I [00:39:30] would just kick them out, I'd tell them. I'd sit them down and explain it to them. And I do it in a way to be helpful even if we never invest. At least I'd try to steer them in the right direction because to me, entrepreneurs are such powerful contributors to our society. They create jobs, they create opportunities, they advance civilization. And to me, I just love entrepreneurs and people think in an entrepreneurial way. Anything I can do to help them whether it's someone who's starting a company or someone who's entrepreneurial minded in a giant organization. I just love helping them. Kyle Davis: And I think, one of ... I don't know if we've mentioned it on the podcast or not, but the primary form of investing that you do [00:40:00] is mostly early stage, seed investing, angel style investing versus later stage investing. For me, what I think that's really interesting and cool is that you get the ideas and you get to place that bet on them before they have even a slight track record or before they even show revenue. It's just the nascent idea that's new and hasn't grown up and done anything yet. And think that's the thing that's awesome. Josh Linker: Well, early stage investing is participatory sport, you're not just betting on a proven [00:40:30] thing and you hope it scales a little bit each year, it's messy. Startups are messy. And more often than not, it's a blood sport. You're getting knocked in the teeth, you're kicked down, and you dust yourself off. And in a great investor, the work doesn't end when they make the investment. When you make the investment, the work begins. Josh Linker: And so you roll up your sleeves and you go right in the trenched with those entrepreneurs and say, "How can we help you. Let's figure this out together," whether it's people issue, or a product issue, or a marketing issue, or anywhere in between. Kyle Davis: And that's a long podcast that we could have is about the conversation doesn't stop when you get [00:41:00] the money. It continues. Josh Linker: [It just starts 00:41:03], that's exactly right. Kyle Davis: That's just when it's starting, and I will say that I've had plenty of conversations with people who've invested in companies, months, years later, are like, "Oh, you're a sales manager here? How's it going? What's going on?" I'm like, "Am I not supposed to be here with the founders talking to you about this?" "No. I own this." So I'm like, "Oh, okay. Great." I find those very enlightening. Gail Davis: Okay. Well, I think we've covered a lot of good things today. [00:41:30] It's been very invigorating for me. I've taken all sorts of notes. My new take away is the importance of micro-innovation and micro-disruption. And I'm gonna start using the word, evolution because I agree. I think sometimes disruption feel scary, and too much pushing of innovation can feel scary, but evolution, I like that, evolving. So thank you so much Josh for being here. I've loved every minute of it. Josh Linker: Well, thank you, both of you. And congratulations on your continued success and innovative approaches to building your organization [00:42:00] and it's a privilege to work with you and be great partners. And I look forward to lots of great stuff yet to come. Kyle Davis: Well, good. Look, if you want to Josh Linkner come and speak for your event, you can do so by contacting GDA Speakers. The number is 214-420-1999. The website is gdaspeakers.com, how novel. If you want to read the transcript, be able to buy Josh's books, and much more, you can go gdapodcast.com. Thanks, Josh, and yeah, that was a good one.